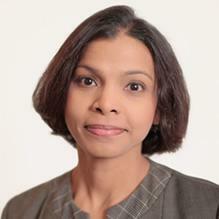 Dr Dhara Dinakaran is a General Adult Psychiatrist with specialisms in addictions and forensic psychiatry. She completed the Kings College MSc in Addictions in 2007 and a clinical certificate in Psychopharmacology in 2009. Dr Dinakaran is experienced in the assessment, diagnosis and treatment of a wide range of conditions including, depression, bipolar affective disorder, psychotic illness, personality disorder, eating disorder and post-traumatic stress disorder. Dr Dinakaran has completed Expert Witness training and is regularly instructed to prepare medico-legal reports. Her criminal court work includes fitness to plead, criminal responsibility, pre-sentencing and disposal. In the Family Courts, she is asked to advise on the impact on mental illness, personality disorders and addictive behaviours on child care. She also reports on Immigration cases and is an Independent Expert in Mental Health Tribunals. You don't need a GP referral to see Dr Dharangini Dinakaran.